Stereo ENG mixer offers 3 inputs and 2 outputs for remote audio recording, electronic news gathering, and location film production. 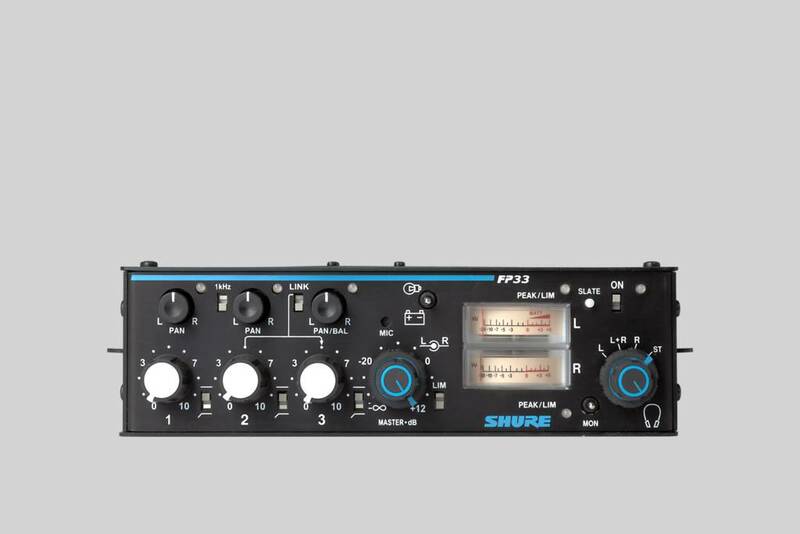 Stereo ENG mixer offers 3 inputs and 2 outputs for remote audio recording, electronic news gathering, and location film production. Includes switchable low-cut filters, LED signal presence, VU meters, and dual-clutched Master gain control. 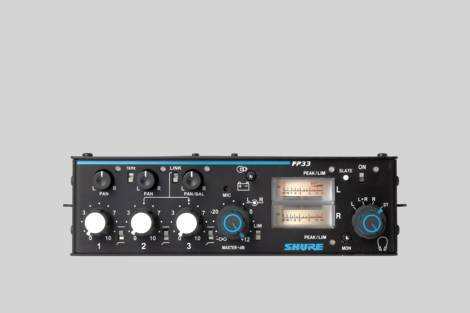 The FP33 mixer has an exceptionally low-noise design makes it ideal for use with digital transmission links or digital video and audio recording media, including DAT. Lightweight, compact, and rugged, the FP33 is designed to withstand the most demanding field production conditions.